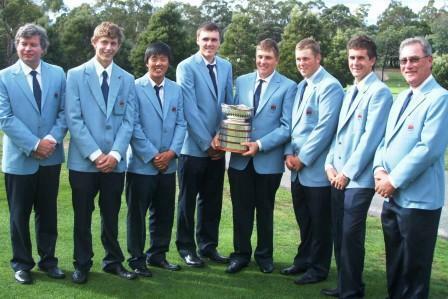 Australian Lithuanian Andrius Belkus was part of the NSW boys golf team, which last week won the Boys Interstate Series in Tasmania. In the photograph of the winning NSW team, Andrius Belkus is fourth from left, holding the winning cup. Information and photo - courtesy NSW Golf Association.